Do you have a pool? Live in California? Click to learn more about this project looking at the insects that live in your backyard! ​Bringing science out of the lab! In the San Francisco Bay Area? Come visit the ant table at Nightlife. 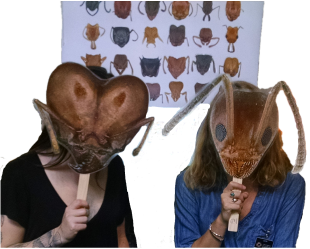 Want to book an ant table for your science outreach event? Click to learn more! Got an ant problem in your house? Stay tuned for a study looking at the effectiveness of natural pesticides. We will need your help to collect data!